For the 10th year, CU Times will honor the industry's best and brightest leaders. Submit your nominations today! 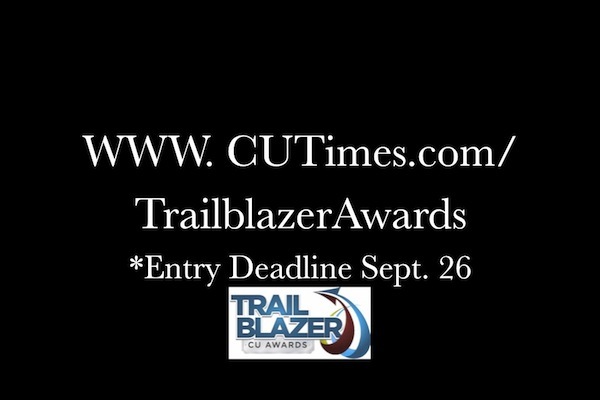 Nominate a credit union Trailblazer TODAY! It’s time once again to honor credit union executives, volunteers and whole institutions that promote change by creating and implementing innovative strategies and solutions.